Temporary Traffic Control and Protection Services | RoadSafe Traffic Systems, Inc.
With our national network of branches, RoadSafe has the resources needed to get the job done and provide local service you can rely on. Our operations employees are trained and certified by ATSSA and bring the highest level of skill and expertise to your project, and all work is done in compliance with state and local agency requirements. Our certified traffic safety personnel include flaggers, pavement technicians, traffic control supervisors and traffic control technicians. 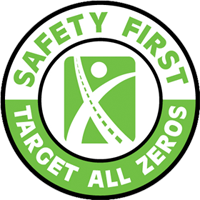 RoadSafe can provide lane closures, road closures, detours, and traffic shifts on all roadways. Lump sum and line item quotes are available for maintenance of traffic. Contact your local RoadSafe branch for your next project and let our traffic safety specialists provide the right solution to complete your job safely, on time and within budget.